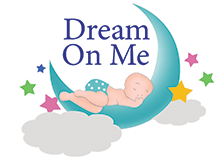 Dream On Me, 3″ Spring Coil Portable Crib Mattress is of supreme comfort and quality. You no longer need to purchase a standard size crib to get the comfort and support of a full size mattress. This portable crib mattress features interwoven steel coils that are wrapped in hypo-allergenic, polyurethane foam and protected with a waterproof cover with Lock Stitch venting. The waterproof, hypo-allergenic, antibacterial, cover aids in the prevention of mold, mildew and odor and easily wipes clean with warm water and a mild soap. This mattress is proudly constructed of quality materials and workmanship in the USA. Designed to fit a standard 38” x 24” Portable Crib. Passes all Flammability tests (16 CFR 1632 /1633) and also pass phthalate, lead and toxicity tests.